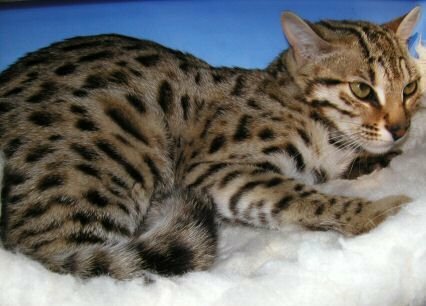 Description: The Bengal cat is a breed of cats appeared 20 years ago and is the result of high breeding wild Asian leopard cats with a domestic breed. In our country there are recently emerged breeders and kitten prices for this race start at 2000-2500 dollars. The suggestion for business is Bengali cat breeder. Conclusion: Such a farm can be a very profitable investment provided one can accumulate the know-how necessary for the growth and reproduction of the breed. 0 Response to "Bengal cat"